Operation Can You Hear Me? Assistance League of Colorado Springs is an all-volunteer, nonprofit organization that is comprised of multi-talented volunteers working together to fulfill its mission. 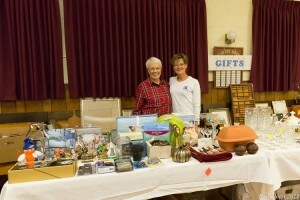 We are an organization whose members volunteered over 53,300 hours last year. 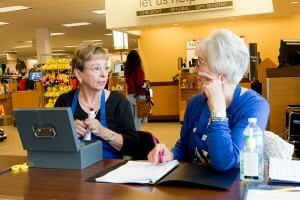 Our volunteers are dedicated to improving the lives of El Paso County residents through hands-on programs. 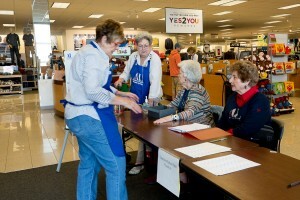 Join ~150 women who volunteer with Assistance League of Colorado Springs. Choose from the philanthropic programs and committees that interest you and would benefit from your special skills. Make a difference in your community by sharing your enthusiasm and extending a helping hand while making new friendships that will last a lifetime. Commit to a minimum of one philanthropic program. Work at least one sales shift each month in the Bargain Box. Report volunteer hours each quarter. Must have served at least five years as a voting member. Membership applications are accepted at any time. Prospective new members will be contacted to schedule an educational tour and training. Each new member is assigned a mentor. Assistance League of Colorado Springs is a nonprofit, all-volunteer, philanthropic organization dedicated to improving the well-being of the children and families of El Paso County.